Principles of RSM: 1. Each individual is unique. Like so many other things in Rubenfeld Synergy, this principle appears simple, almost simplistic, at first blush. It may even appear as sentimental pap: a touchy-feely, New-Age-y belief that we are all special snowflakes. In reality, though, it harkens back to the idea of specificity and keeping an open attitude of discovery. Human beings, after all, aren’t all that different. We eat and sleep and breathe, love and hate, work and play, raise families, break hearts and have our hearts broken. We live and die. But the stories of each of our lives have a richness, a specificity, and those stories resonate in our bodies in vastly different ways, revealing more uniqueness with each passing day of our lives. Some bodywork techniques have a kind of code: if something is happening in your back, that means it’s in your past; if your shoulders are tight it means you’re carrying a heavy burden; if your hands shake it means you’re nervous about your profession. It’s all very interesting, but none of it takes into account this first and perhaps most important principle of RSM work. While there are some things in the body that give us very good clues, it is paramount that we recognize that the messages of each person’s body are going to be unique to that person. For instance, we work a great deal with the feet. We conceptualize the feet in particular ways: they are literally the place where the client is standing. 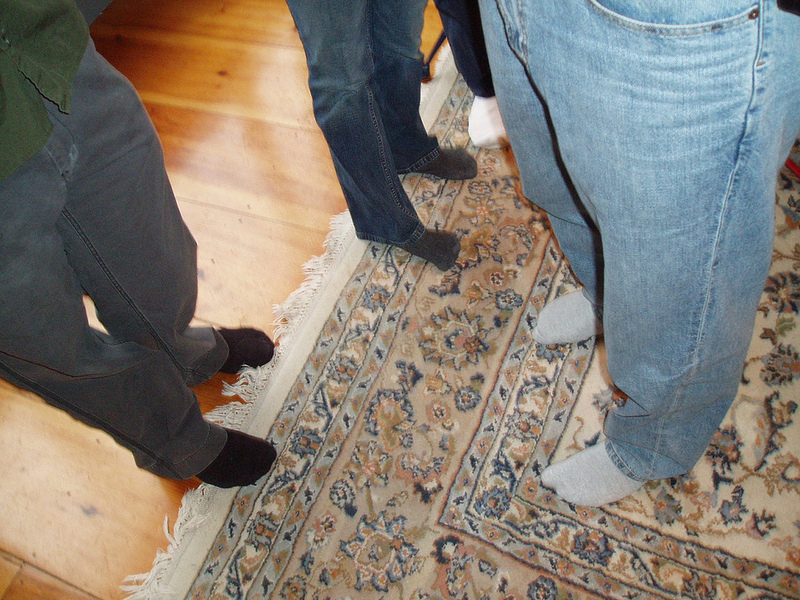 The feet can tell us various stories: can the client really feel their feet? If not, it’s possible this person is ungrounded, or that they live in their head. Are the feet pointing in two different directions when the client lies on the table? We might begin to explore whether the person is experiencing indecision about their path in life. But the key word here is “explore.” If we jump ahead and decide that we know exactly what something means before exploring and getting that information from the client, we’ve closed off the path of inquiry and shut down one possibility of healing. As Synergists, it is incumbent upon us to honor each client’s unique story: what Mary’s feet are trying to tell her is not going to be the same as what John’s feet are trying to tell him. The very first week of our RSM training began with a foundation in the “GROUND” of RSM: Gentleness, Respect, Openness, Understanding, Noticing, and Discovery. This one silly acronym is truly the foundation of our work, and all of the words point to this first principle of meeting a client where they are. Probably most important here, though, is “discovery”: the work we do with each client to uncover their very particular story, and help them to find the next step on their path, without judgment. Next: The body, mind, emotions and spirit are dynamically interrelated.